Since we developed our ASSOS Chamois Crème over 10 years ago (after intensive research and multiple prototypes), there’s been an air of mystery surrounding this ultra-luxe cycling essential. 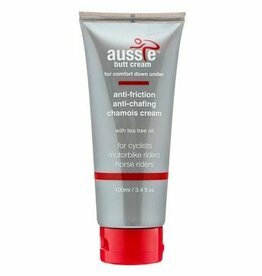 Now in its fifth iteration, the ASSOS Chamois Crème relies on natural extracts to protect your skin from irritation due to friction and the build-up of bacteria. 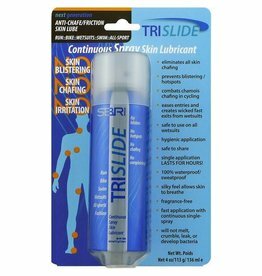 With 10,000s of pots sold each year, this sensitive lotion for cycling also rehydrates and replenishes the skin in this sensitive area, meaning a reduced chance of rubbing and inflammation from hours spent in the saddle. For optimum results, we’d recommend applying a light layer directly onto the skin where the chamois sits, or onto the chamois itself. It works superbly with any ASSOS bib shorts and ASSOS inserts. By eliminating the risk of saddle sores and discomfort, our ASSOS Chamois Créme ensures that at least one comfort factor won’t suffer whilst riding—we’ll leave the other comfort elements of pace and power in your hands. 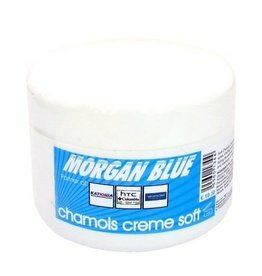 Finally a chamois cream for ladies that is just right! !